Spring is upon us here in the Northern Hemisphere– and it is always fun and informative to look at the Medicine card deck and various totem animals representing the change of seasons! The Bear: The Bear card is the epitome of winter hibernation and contemplation. Hibernation is a time of introspection and also a time to ask ourselves questions about what we know, and how we perceive our realities. When the Bear leaves his “dream lodge” after the long winter of sleep, it is very good time to reflect on the questions we have about our particular situations– and whether we already have the answers to those questions within us? The Bear card also reminds us that spring is a good time take all the contemplation from the winter months and make them into concrete goals and realities. The Bat: The Bat card is the card of rebirth and also symbolic death; not death in the literal sense, but a death of all those old patterns that do not work for us any more. We’ve had time to contemplate these things all winter, so now is the time for action. 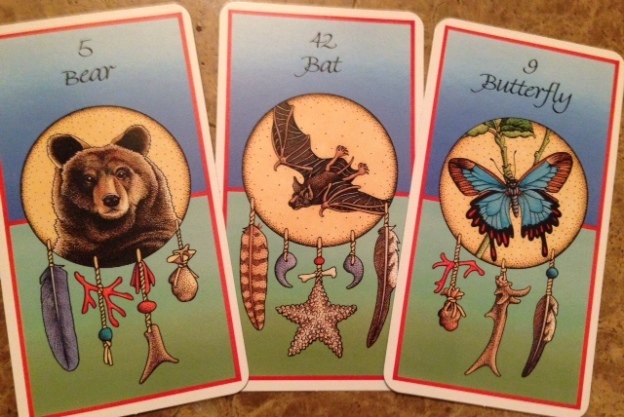 The Bat card tells us to embrace the new and get rid of the old ‘junk’ that is holding us back. The bat is an incredibly powerful symbol for Shamans in many ancient cultures and reminds us that it’s time to evolve and embrace new things. The Butterfly: The Butterfly card is the card of air and of self transformation, mental clarity and cognitive awareness. So after all that meditation over the winter, what is your next move? How will you organize your goals, aspirations and dreams? The Butterfly card shows us that change involves stages of adjustment and process, but that the end result is beautiful. It is also a card that tells us that it’s time to examine cycles in our lives and whether they are beneficial to us going forward. I also find it fascinating that all three of these cards begin with the letter “B”. The letter B has many different symbolisms in language and historical contexts. For example in the Hebrew alphabet of Kaballah, the letter “B” symbolizes inward reflection and introspection; and in the old Celtic tree alphabet, it symbolizes clearing away the old and starting anew. 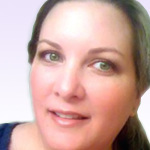 I love using the Medicine Card deck and am always available to for readings using this fascinating medium. My next Medicine card article will be focused on the seasonal changes in the Southern Hemisphere, so stay tuned for installment #2!